Late last December, Ajmal Fa-qiri boarded a plane in Kabul, Afghanistan, bound for San Francisco with his wife and two small children. It should have been a moment to weep for joy: He had finally been delivered from the men who wanted him dead. But Faqiri, 27, was hardly in the clear. He was en route to a different kind of peril: the neglect of the U.S. State Department and a life of grinding poverty. An ace interpreter for a U.S. Army unit that chased Taliban insurgents in Kunar Province, he’d been marked for murder by Taliban zealots swearing vengeance on collaborators and their families. Faqiri had survived eight years of firefights and had so proved his mettle that he was tapped to translate for then Secretary of Defense Robert Gates. In 2010, Faqiri applied for Special Immigrant Visas, given only to allies whose lives are imperiled by their work. After nearly four years, our State Department obliged him, calling him to its embassy to pick them up. But instead of the standard six months to arrange travel and sell off worldly goods, it gave him 72 hours to get out of the country before his family’s brand-new visas would be revoked. He borrowed $14,000 to buy four last-minute plane tickets to SFO (he’d hoped to go to Virginia but couldn’t find a flight) and arrived with no contacts and a few hundred dollars in his pocket. He cleared customs at 11:31 p.m. on New Year’s Eve, giving him 29 minutes to spare; had his flight been even a half-hour late, he’d have been shipped back to Kabul on the spot. 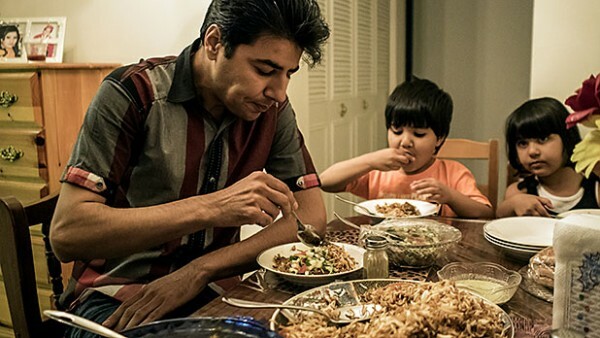 Knowing nothing about San Francisco, the family walked along the highway to Daly City, where an Afghan immigrant heard him speaking Pashto and asked what he was doing on the street. Faqiri told the man his story and named the one soul he knew here: Janis Shinwari, an Afghan interpreter with whom he’d worked in Kabul and whose story would later appear in these pages (“The Friends We Left Behind,” April 2014). They found a cell number for Shinwari, now living in Virginia, and asked him for help. Shinwari was dining with Cap. Matt Zeller, the National Guard officer who’d moved heaven and Earth to win Shinwari a special visa last year; together, they’d raised money to help other endangered Afghans in Kabul. They bought the Faqiris a flight to Washington, D.C., put them up in the cramped two-bedroom Shinwari shares with his wife and small children, then scraped together enough to get Faqiri a used car to land a job at Domino’s. On a good week, Faqiri, who has a degree in computer programming, earns $250 delivering pizzas to some of the worst projects in Prince George’s County, Maryland. That makes him, sad to say, a stark success among his peers, hundreds of whom have arrived here and been given a three-month subsistence, then cut loose in a hostile culture to sink or swim. “We all have that problem,” said Rafi Hashimi, a “terp” with Special Forces who served nine grueling years with distinction. “I feel like I am nothing, useless to my family. I expected a better life, and it’s so much worse here.” Roughly 13,000 refugees from our dual wars on terror have come over on special visas since 2008. Many Iraqis, raised in a land with modest infrastructure and acquaintance with modern technology, have trod a smoother path to assimilation. But most Afghans, ravaged by decades of war, come from dirt moonscapes of subsistence farms with no running water or power grid. To simply dump them in big cities without backing or guidance seems the height of indifference. Yet that, says Zeller, is exactly what’s been done by the State Department, which for years dragged its heels in issuing visas to the terps, then brusquely turned its back once they got here.